We’re the small Reform synagogue in the area. The one hidden away, almost in the woods. If you’ve heard of us before, we hope it’s because of our incredible social justice legacy; our diverse community, including LGBTQ members, people of color and people with disabilities; our large percentage of interfaith families; our hardworking bar and bat mitzvah students who regularly inspire us; our young, dynamic rabbi and cantor who are changing the face of synagogue life in our area; or maybe just our reputation as the kind of spiritual community where some of us are wearing suits, some of us are wearing jeans, and none of us are judging each other. Together, with the help of Jewish wisdom, we’re trying to build the kind of lives we mean to live and the kind of world we dream of seeing, one small step at a time. Interested in learning more about us? 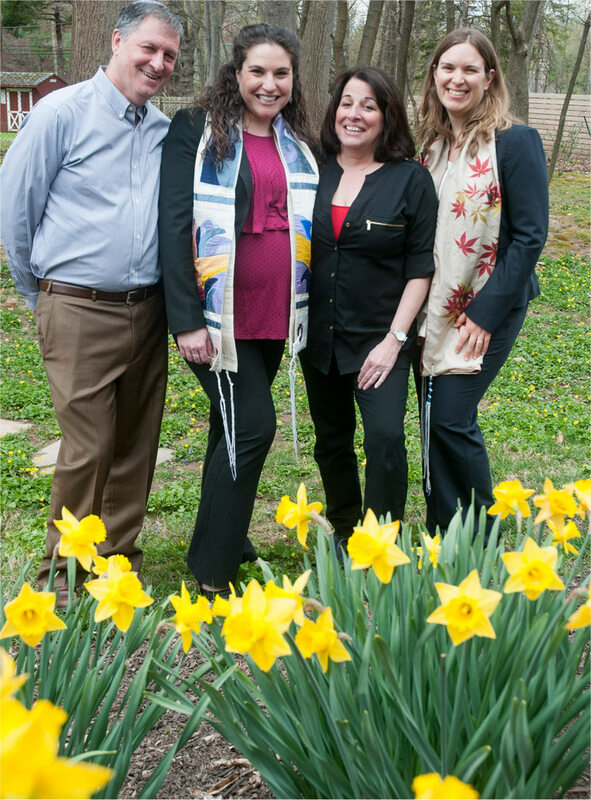 Join us any week at Shabbat services, make an appointment to meet our rabbi or cantor, or send a note to our membership committee chairs, Roberta and Barry, two longtime members of our community, or contact our Executive Director Jill, 610-896-7485 x104. You don’t need to consider yourself “religious” to feel at home here. We hope you’ll find, as so many of us have, that there’s no place like Beth David.